Every time I watch a bunch of foreigners trying out Indian food and getting amazed by how good it is, it is amazingly satisfying for the Indian in me. 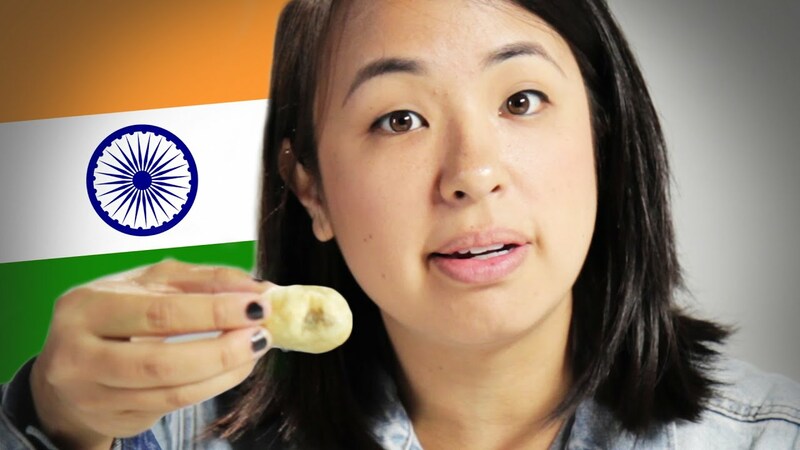 And this video is all about bringing the savoring taste of Pani Puri to America. And as expected, epic hilarity ensues when a bunch of Americans are gathered in a room with a plate of this mouth watering dish. It’s funny to watch these people, so naive that they don’t even know how to eat a pani puri. Most of them put the entire puri in their mouths without even putting anything inside. Come on Americans, you can do better than that. The only thing funnier than their reactions is their pronunciation of the word Paani Puri. It’s pronounced as paan-ee puri for god’s sake. I bet shortly after watching this video, you will be left drooling & craving for Pani Puri. More Indian food reaction videos coming soon.